Most of our regular readers are well-versed about the fact that iPhone 4 baseband 4.12.09 on iOS 7.0.4 / 7.1 / 7.1.2 firmware is quite famous for unlocking. We have covered a lot about it already, but we need to inform you more about the IMEI factory unlock that is available for iPhone 4 baseband 4.12.09 on iOS 7.1, 7.0 and 7.1 firmware. This can be used to unlock the device, but it requires the preservation of the baseband. Custom firmware will need to be created for iOS 7, 6.1.2, 6.1.3 or 7.1.2. But this method only supports 3 basebands as mentioned before. Ultrasn0w has been developed by MuscleNerd but it only works with a single baseband. The version we are talking about is 1.2.8 of the software tool. 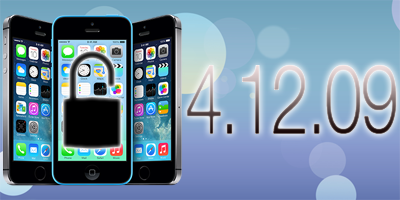 Note: If you are an Ultrasn0w unlocker, you should stay away from iOS 7 / 7.1.2 update if you haven’t updated till now. It has been a while since the SAM unlock was patched, but activation tickets can still work to unlock iPhone 4 compatible basebands on iOS 7.1.2 / 7.0.4 / 6.1.2, 6.1.3 and below. The tickets should be saved in the lockdown folder, but you can only use the SIM that was used when the backup was created. Wait for iOS 7 jailbreak in other case. This is the best method by far. After you use this method, note that your device is unlocked forever, and you can update to any iOS 7.1.2 / 7.2 updates in the future. You can use then use the phone on Rogers, Fido, Sprint, O2, Orange, AT&T, Telus, Telstra, Optus, Vodafone, Verizon or any other popular network. If you want to factory unlock your iPhone 4 baseband 4.12.09 you need to use a factory imei unlock service.